We are a full-care boarding facility in the heart of Dallas. 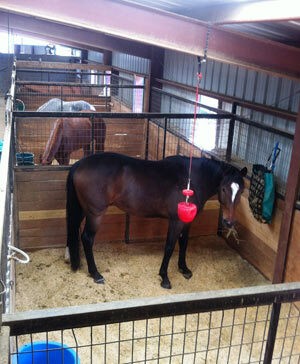 We understand the horses nature and the importance of a routine feeding time! We feed grain and hay three times a day. If requested, we can provide your horse with hay up to 5 times a day! The horses are watered manually and the water is changed daily and possibly multiple times depending on the season. The boarding rate varys from $685 to $785 depending on the stall. There are two vetenarian services offered as well three ferrier services.